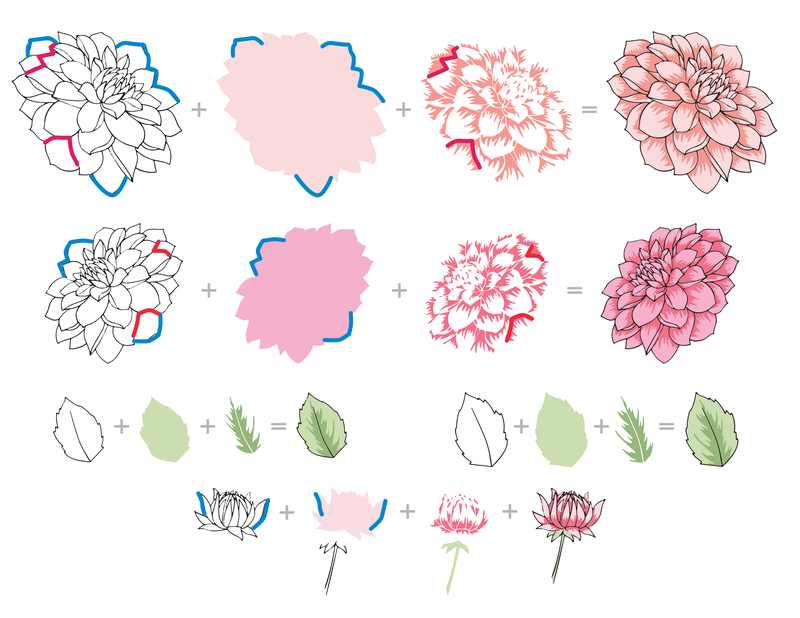 This is a bundle of Dahlia Blossoms Stamp Set and coordinating die set. We knew we just had to have a stamp set honoring these delicate beauties, so we have created a multi-layered set that you are sure to love! Each step can be stamped on its own, or layered in any combination for a variety of looks. This bundle includes a 6" x 8" clear stamp set containing 18 individual stamps made in the USA from high-quality photopolymer and 6 coordinating dies. Die dimension: The largest die measures approximately 2.35" x 2.82" while the smallest die measures about 0.95" x 0.73". As usual this is just another top notch set. Every time I think I can't like one more than I like another but I do. So many possiblities. Easy to line up, stamps beautifully, and it is a dahlia- what’s not to love! The flowers have the outline so lend themselves to a multitude of colouring methods in addition to the stamping - very versatile. Add some embossing powder to the outline and you soon see the options are endless. I will be using this set a lot! This is a beautiful set - easy to use, and creates the most realistic images!